Travelxp is one of the most popular and trusted online portal for all travel related bookings. Travelxp always present lots of offer on your booking. But today they back with a promotional offer in which Travelxp is giving Free Rs.500 Ola Cab Coupon code on Downloading of Travelxp app. 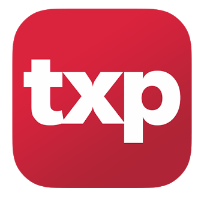 Download & Signup TXP App to get free cab rides. This is amazing loot offer. Just download and Sign up travelxp.com Android App and get 2 OLA Prime Rides free worth Rs.250 each. You will get Ola Cab coupon code in SMS. This is limited period offer. So hurry up and grab this amazing offer. Click on New User? Sign up option. Finally you will get Free 2 Rs.250 Off Ola Cab Coupon code. Offer valid upto 3rd July, 2016. This offer is applicable only for New users. Ola Cab offer is available only in Mumbai, Delhi, Kolkata, Chennai, Bangalore, Hyderabad. Terms and Conditions of travelxp.com applicable. Terms and Conditions of OLA applicable.